Can you imagine trying to lead a Sunday school class every week with no resources or tools to help you out? No computer. No video. No coloring books. No posters. Not even a storybook! What on earth would you do? My heart nearly broke the first time I saw a dedicated CEF worker draw his own stick figures on paper to help illustrate a Bible story—and then pass it around for every child to see! That’s when we started sending materials from here in America to help these teachers. 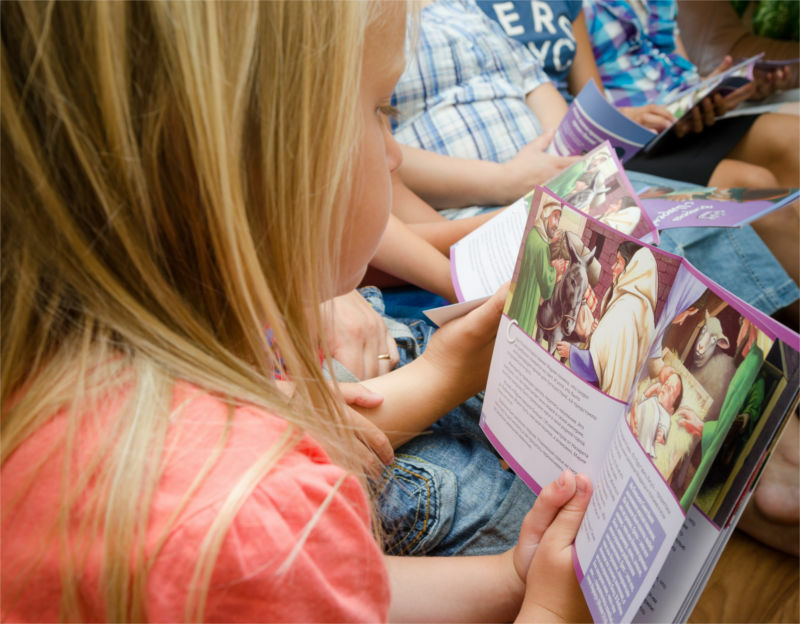 We knew it would be almost impossible for most of them to buy these resources—even at discounted rates—so we started raising the funds to send Boxes of Books filled with visual resources, Wonder Devotional Books, and other materials so children could learn more about Jesus. This Easter, thanks to a $25,000 matching grant , we have the opportunity to send twice as many Boxes of Books to children around the world. That means when you give, your gift will be doubled —helping twice as many boys and girls hear the Good News of Jesus Christ. Normally it costs about $50 to fill and send a Box of Books to a teacher—but each box helps them minister to at least 650 children. Now with this matching grant, a gift of $50 can be doubled to provide two boxes of material to reach over 1,300 children. A $100 gift will help reach 2,600 children … and a gift of $150 will help to reach and disciple up to 3,900 children during Easter and all year long! Will you help with a special gift this Easter to help children know that Jesus died and rose again to save us? To save them? Your support today could make all the difference.